Mexican vacation rentals have been booming over the past few years with the growing demand for more personal experiences, rather than a typical, all-inclusive resort stay. In fact, vacation rentals in the Mexican Caribbean have increasingly lured Americans and Canadians who’ve realized these properties are a secure way to make a profit. These investors often dream of Caribbean properties where they can find peace and relaxation, but now they are also realizing unique ways to make a gain in their retirement. It’s time for you to take a good, hard look at Mexico, and specifically consider investing in a property in the Riviera Maya—Mexico’s top tourist destination. Need a little more convincing? Let’s look at the numbers. With the inauguration of Terminal 4 at the Cancún International Airport in November 2017, international visitors rose from 21 million to 31 million people annually. And with the completion of the terminal in 2021, it is estimated the airport will be receiving 40 million passengers each year. But arrivals don’t come only from the air. 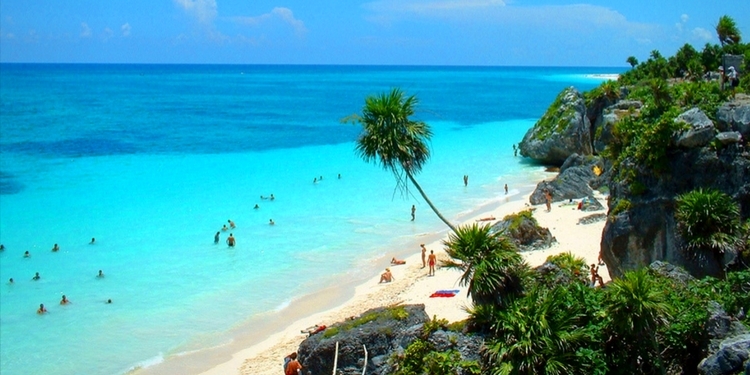 Cozumel Island, just off the coast of Playa del Carmen, experienced a 24% increase in cruise ship arrivals in 2015. These numbers are increasing year after year. Once a cruise passenger experiences a day in Mexico, they may return for a longer stay. The number of flight connections to Cancún International Airport has increased substantially. Cancún now welcomes the highest number of foreign flights in the country, serving 350 worldwide airports. If this information has you dreaming about investing in Mexican property, let me share three unique properties which you may have never considered in the Riviera Maya. One of the newest and most exciting housing trends is the concept of co-living. Derived from the very popular trend of co-working spaces, these collaborative real estate properties are targeted at investors seeking rental income, not home ownership. Co-living spaces create a unique human experience and curate communities and “cultural containers” to enable a lifestyle rich with purpose and connection. The Unite model of living honors the needs of individuals yet optimizes the desire for community and social interaction. 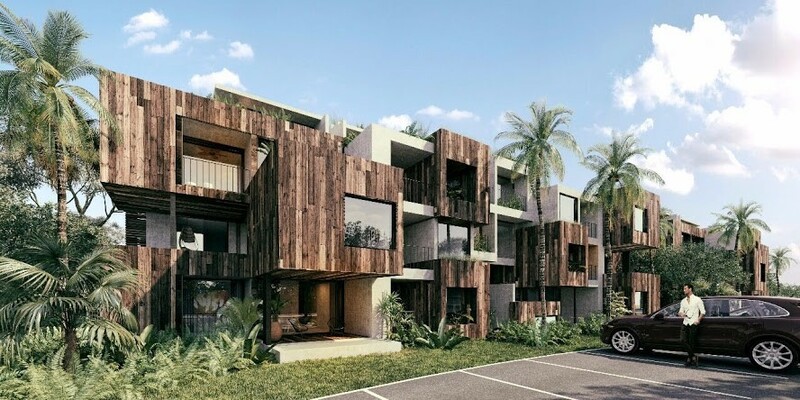 The development is located in Tulum and offers all of the luxuries anyone who has ever lived in a dormitory setting could have dreamed of enjoying. 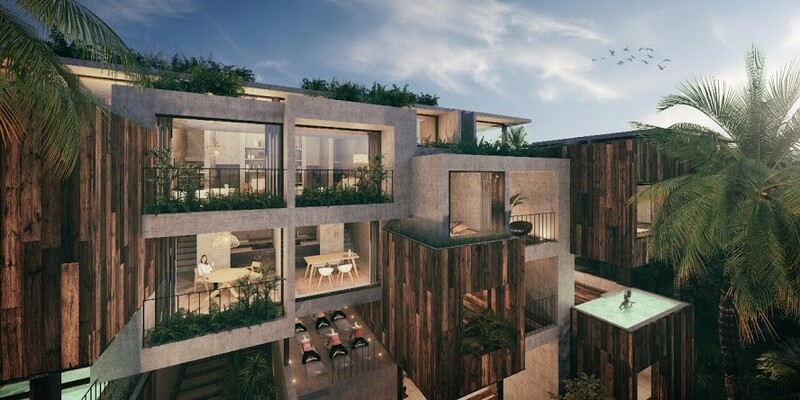 Located within the gated community of Aldea Zamá, an eco-tourist and residential project in Tulum, these condos boast many amenities including an organic market. The co-living spaces feature a gym, communal kitchens, game room, swimming pool, spa, library, cinema room, music studio, bar and restaurant, and much more. Outside the gates, you are just a bicycle ride away from hospitals, supermarkets, beach clubs, restaurants, bars, downtown Tulum, cenotes, the archaeological zone, and much more. The co-living area has a total of 1,100 square meters (11,840 square feet) of shared areas with 40 units of 50 square meters (538 square feet), 8 rooftop units of 80 square meters (861 square feet), and also features condo hotels that range from 45 to 200 square meters (484 to 2152 square feet). As a landlord you can expect stable cash flow, capital value enhancement, and the ability to rent to plenty of tenants who pay rent in the form of a “membership fee” that grants them access to the amenities. The Unite project will be launching later this year, and the developer has hinted at discounted prices for the first Live and Invest Overseas investors who come on board. Why you’re sure to rent it: These condos were specifically designed for the booming rental target market, which includes millennials, students, or new professionals who thrive in a community setting. These developers are in touch with our changing society and the local housing needs. This is a unique opportunity where you can literally get in on the ground floor. This area of Mexico offers hundreds of rental properties for resale that hold great investment potential such as this lovely three-bedroom Mexican-style home, located in Tohoku. In a gated community in the heart of Playa del Carmen, this property features 24-hour security, a park, a playground, and a palapa with kitchen and bathroom, an ideal spot for hosting family and friend reunions. The 168-square-meter (1,808 square feet) house has amazing rental potential, as it is just a five-minute walk to Playa del Carmen’s Fifth Avenue with restaurants, shops, bars, gyms, supermarkets, and, of course, the beach very nearby. The three-bedroom house can be rented on a short-term or long-term basis, and is especially handy for families relocating to the area for work or other opportunities. Each spacious and bright bedroom has its own bathroom. The traditional kitchen features a central bar, the living and dining rooms are big and comfortable, and the other areas of the house are functionally designed. The home is listed for US$225,000 while comparable properties in the area have sold for up to US$370,000. 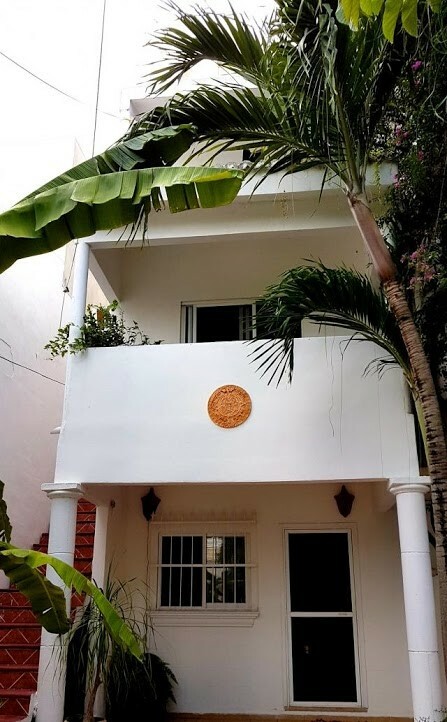 Why you’re sure to rent it: This large, Mexican-style home, located in the heart of town with important amenities nearby, is sure to attract for foreigners staying in Playa del Carmen for at least a few months. Also, if you’re not renting to families, the home’s size and number of bedrooms—with ensuite bathrooms—is perfect for short-term rentals to students or professionals just arriving in Mexico. L Condos are located in the gorgeous Playa del Carmen beach town, where over 21 million people traveled last year alone. The project was purposefully developed in what the locals call Little Italy, considered the real estate engine of the area—and yes, you can find plenty of Italian restaurants around here. This investment opportunity is currently available, however, owners will not take possession until December 2018. 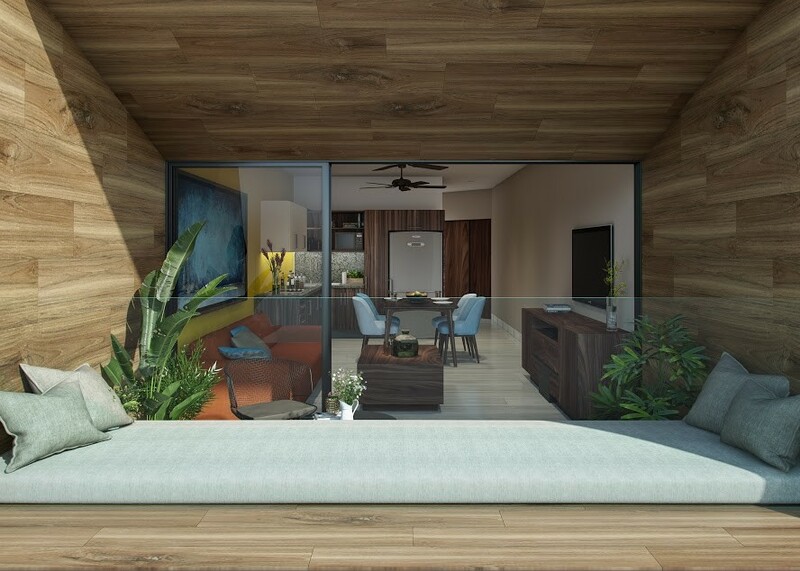 Expect these 48 condos to be luxurious in every sense, offering a beautiful view of the Mexican Caribbean from the lush rooftop with amenities that make it stand out among the tough competition. The one-bedroom condos, which range from 50 to 90 square meters (540 to 969 square feet) are delivered fully furnished with ceiling fans, air-conditioned bedrooms, built-in kitchen, laundry center, and closet systems. Among the many top-notch amenities, you’ll find a private fitness center, elevator, an 82-foot-long infinity pool, a sky bar, a sunbathing area, underground parking, Wi-Fi in the common areas, mini storage areas, concierge service, a co-working space, property management services, and 24-hour security. This all complements a booming social life in a luxury location. Starting at US$140,000, these condos are turnkey rentals. During construction, investors can also choose features such as lock-off spaces, a terrace, a hot tub, or a garden to personalize their apartments with. Why you’re sure to rent it: L is for location. 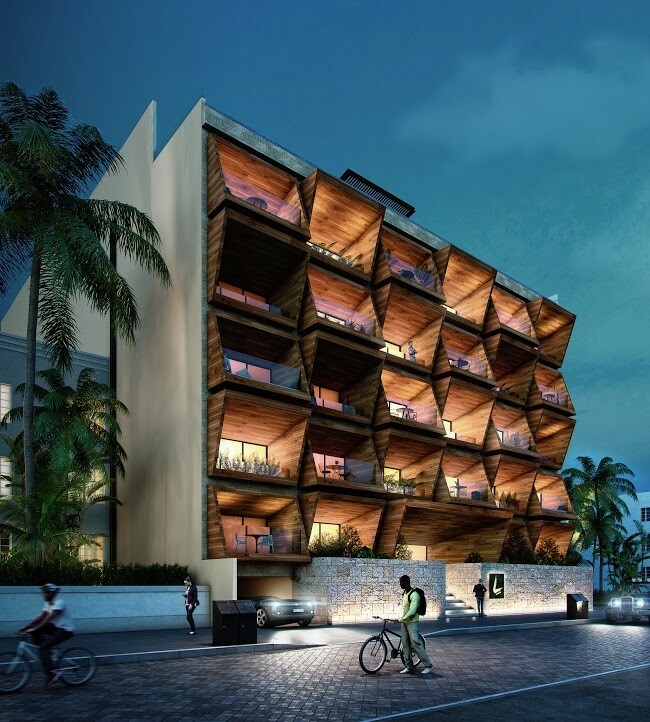 Just steps from Mexico’s world-famous Fifth Avenue and the gorgeous Caribbean Sea, where tourists to this slice of paradise spend most of their time, these condos will thrive. Moreover, the eye-catching amenities and luxurious finishes make L Condos stand out from the pool of ordinary rental listings.